Has the Food Industry Lost Its Human Element? The FMCG sector is the biggest manufacturing sector in the UK; turning over £80 billion a year and is host to some of the world’s leading global corporations including Nestle, Coca-Cola and Heinz to name a few. In some respects, the FMCG sector is progressive; packaging, branding, marketing and brand communications all need to be consistently forward thinking and innovative in order to remain relevant and appealing in today’s ultra-competitive market. Due to the nature of the products within the sector, it has proved to be resilient and fared well in comparison to other sectors in the recent economic turbulence. 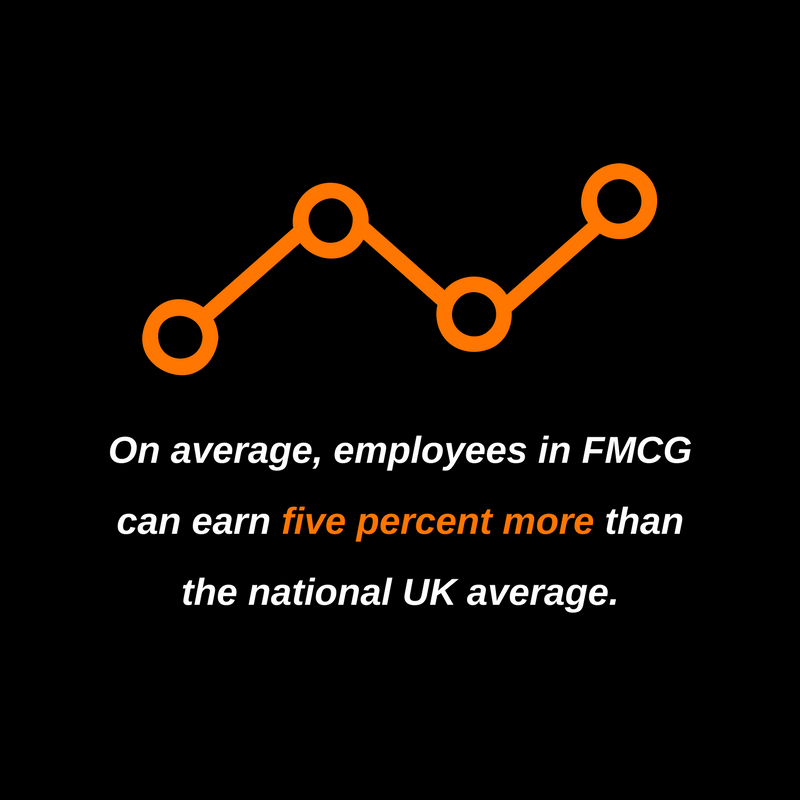 On average, employees in this sector can earn five percent more than the national UK average, so this, coupled with the aforementioned job stability leaves us to beg the question – why is the FMCG industry struggling to recruit? Despite the industry underpinning today’s ‘eat-fast-and-throwaway’ lifestyle, perhaps little thought is put into branding it to the next generation that will drive it forward? The struggle the industry is experiencing when it comes to recruiting comes as no surprise; an EED report cited that manufacturing vacancies were ‘hard to fill’, with 35 percent of survey respondents saying this was a major issue. A lack of technical skills, relevant qualifications and experience and an insufficient number of applicants have all been labelled as the reason for recruitment issues. The image of the sector is outdated; it isn’t perceived as an area that is exciting and innovative. 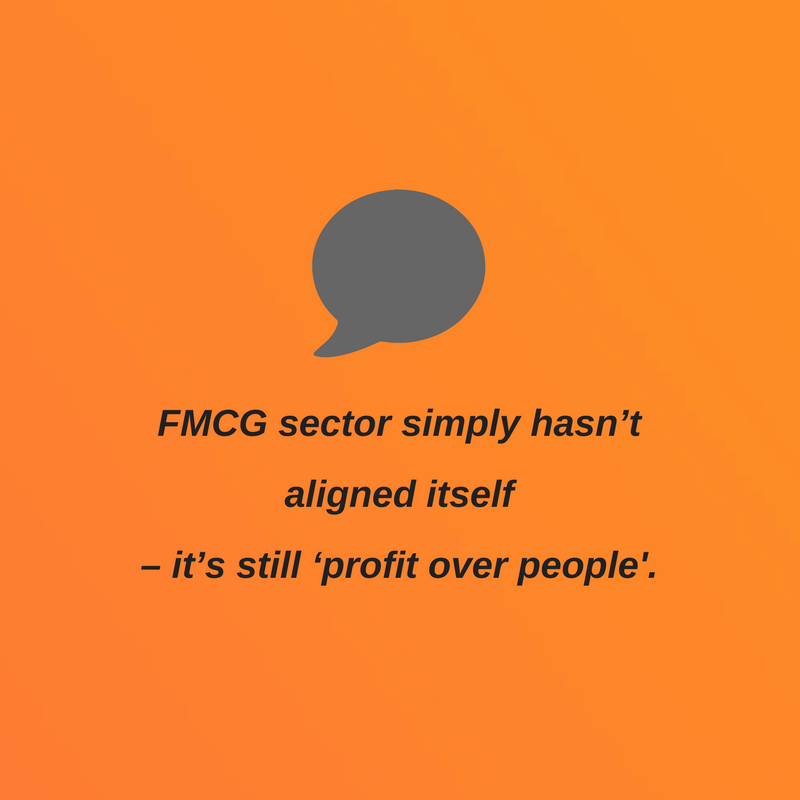 When our social values are shifting to ones that are ‘people-centric’, the FMCG sector simply hasn’t aligned itself – it’s still ‘profit over people’. The truth is, there is a lack of fresh young talent, and the industry needs to shift dramatically in order to attract it, because to the millennial generation – all that glitters isn’t gold. Work-life integration, career-progression and a sense of self-purpose are the current expectations; by 2020, this generation will make-up 40% of the workforce, so it’s important the businesses begin to consider how their current benefits match up to this new standard. Career-progression, or lack of it, is a major roadblock within the FMCG sector currently. For a long time, there has been a culture of people switching between jobs and companies, rather than providing progression and responsibilities, employees have been tempted away with higher salaries. In some respects, the employee expectation has not included career progression until recently. But with that said, it could be argued that this has been beneficial to some of the businesses within the industry as ‘disruptive talent’ is not what they have been seeking, as they have historically been looking for staff that are compliant, however, clearly this strategy has done nothing for the industry and its stagnated image. 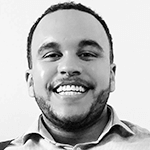 Another outdated approach is the dismissal of applicants without ‘relevant experience or qualifications’; this is an aspect of recruiting that The Sterling Choice are actively challenging. We strive to match candidates and clients on culture, values and expectation, with a view to a long-term employee, who carves out a successful career. Catching candidates at graduate stage is an ideal strategy for many businesses, however, a combination of the elements previously discussed has left this a difficult one to cultivate. There seems to be confusion and little knowledge about the sector unless you are working within it; for example, while many people are well versed, on a basic level at least what an accountant does, they don’t understand roles such as ‘Trade Marketing executive’ or Operations Planning Analyst’, the industry as a whole needs to focus on raising awareness and providing clarity with regards to the roles that are available. To eliminate the confusion around the roles available, employers need to work with their marketing teams and recruitment companies to ensure that role are communicated more effectively as industry jargon could turn candidates off. The higher education system could help to minimise this confusion for graduates by providing a wider range of courses relevant to this sector. At present, there is a limited number of UK universities offering courses. In conclusion, a lack of human element is increasingly damaging the sector; some of the businesses within it need to align their brand values with the ethical social movement and work with the HE system in a comprehensive effort to alleviate the confusion that surrounds the FMCG sector. Education, clarification and becoming ‘people-centric’ will be the paradigm shift that brings the sector into the modern age, attracting the next generation of talent that will continue to push it forward.